Mahler, Gustav, 1860-1911. Symphonies, no. 9. Rondo-Burleske (Sketches) . Symphony no. 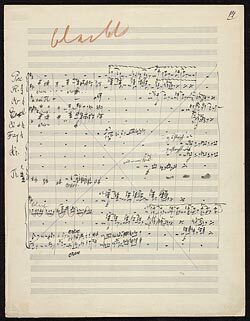 9, third movement (sketches) : autograph manuscript, 1909?